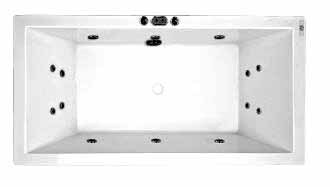 SKU: Catolina 1800. 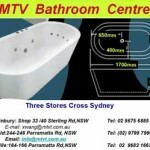 Category: Spa Baths. 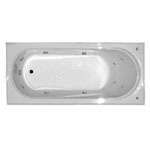 This sleek European designed hot pump spa bath offers two person hydrotherapy bathing with sophisticated style. 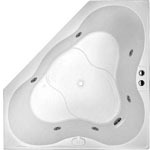 The bathers are treated to a combination of swirl and directional jets.This luxury 14 jet Spa is beautifully crafted to suit any bathroom needs.